Ignition Casino emerged from the ashes of Bovada poker, who moved all their poker players over to the new U.S. facing casino site. With a hefty welcome bonus, bitcoin banking and a great selection of quality games, Ignition Casino has quickly become a leading mobile casino for real money gamers in the USA. Playing at the Ignition mobile casino is something that can only be done through a mobile web browser, as there is no dedicated app available. 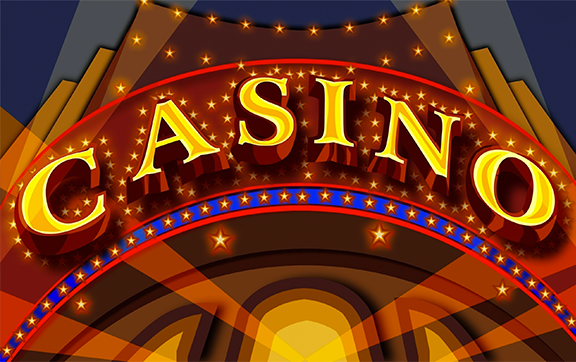 This is the result of Ignition being geared toward American casino players, where app stores are restricted from offering gambling apps to their customers. While this is an inconvenience, Ignition’s mobile casino is visually appealing and easy to use, with players who have reasonably up-to-date devices able to play poker among other games. Ignition mobile casino offers a number of slot options, from basic free slot machine games to complex offerings with massive jackpots.. They even offer games featuring mature content, such as A Night With Cleo, so saying that they have games to please everyone might be more accurate with Ignition Casino than it would be at any other online casino. Adult slot games aside, Ignition mobile casino really does have a great selection of games, as evidenced by their table game selection. Ignition has several variations of everyone’s favorite table games, including several different types of blackjack games, bingo games, and more. They also offer some quirky things like Sudoku, a twist on the classic brain game for money. It feels like there is more to look forward to at Ignition Casino than most of its counterparts. Deposits are lacking in options at Ignition Casino, but they have the major options covered, which is good enough. Options for deposits at Ignition Casino are either credit cards or bitcoin. At a casino geared toward Americans, bitcoin is a must-have, as it allows players to get around the draconian regulations on gambling that the government and financial institutions have teamed up to impose on the nation. Bitcoin isn’t subject to those regulations, as it is anonymous, allowing easy deposits for everyone. Ignition rewards players for choosing to use bitcoin as their funding method of choice, giving players a 200% match on deposits made with bitcoin. That one-time bonus is good for up to $2,000, which is a great way to get around government regulations on gambling which running up a bankroll in the process. After that first bitcoin deposit, Ignition offers players a 25% bonus on all subsequent bitcoin deposits. For non-bitcoin players, there are $2,000 available as well, in the form of two 100% bonus offers, one for the casino and the other for poker. While this offer doesn’t quite have the same allure as the $2,000 bitcoin offer, due to the amount you need to deposit to max out each bonus, it’s still a strong offer for players who aren’t ready to use cryptocurrency. Players at Ignition mobile casino can take advantage of an eight-tiered loyalty program known as Ignition Rewards, in which players are given reward points for depositing and playing with designated amounts, allowing them to jump levels after each point threshold has been met. From there, players are given benefits for being at higher levels in the program, including higher deposit bonuses, cash back, and other perks that continue to get better as players move up the ladder. While it no longer carries the Bovada name, Ignition mobile casino has picked up right where the famous name of Bovada left off, thanks to a strong menu of games, a bitcoin-friendly system, and a very rewarding loyalty program.